Please join your PTA at New Hampshire Estates Elementary School this evening November 5th, 2013 for its monthly meeting. After conducting PTA business, we will have a Guest speaker from Montgomery County Police Community Services, Officer Joy Patil at 8:00pm. She will be presenting parents with a discussion about internet safety in your home with your children and handing out important information to take home with you. 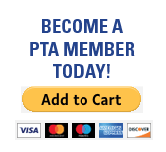 Also, if you have not picked up your PTA membership card, please see the PTA Secretary in order to receive it. If you would like to have it mailed to your home please email both our PTA Secretary Andrea Shapiro, and PTA Membership Chair Vanesa Pinto at annie_ls@hotmail.com and milebolivia@gmail.com they will make sure to mail it to you. Don’t forget to activate your membership card by phone or online once you have received it. Do you need transportation to NHE Elementary School to attend the meeting? Call Kirian Villalta at 240-421-6789 or email:1kirianv@gmail.com to arrange a pick up at Oak View ES to NHE Elementary School.